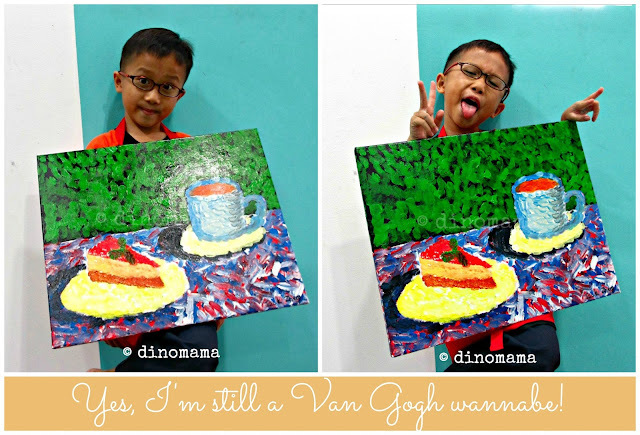 Wordless Wednesday - Still a Van Gogh wannabe! When I asked DinoBoy to chose a theme from the list of heART Studio's September Holiday Workshop classes, he picked Van Gogh's Tea Time without 2nd thought. And happy anniversary to you and hubs today!